Question 1. I’m not sure I need an attorney. How do I know if I should pursue my case? No two legal matters are the same, they each have unique circumstances. Because of this, we suggest that you contact us about having a free consultation so that we can talk about your situation in depth and determine together if we can help you. Selecting an attorney that’s right for you involves some research and asking the right questions when you have the opportunity to meet him/her. What percentage of your practice is devoted to (the practice area in question)? How will you communicate with me about what’s happening in my case? Who else in your law office will work on my case? Can junior attorneys or paralegals in the office handle some of legal work at a lower rate than what you charge? Question 2. How much will it cost to have you represent me? The total cost of legal fees can vary drastically. It can depend on the complexity of the case, use of internal resources needed, the length of representation and many other factors. To help give you a more appropriate guide-line of cost before contracting our legal services we suggest you come in for a complimentary consultation so that a better overall picture of the case at hand can be discussed and estimated. Many cases are handled on a contingent fee basis – you don’t pay until we win your case. Question 3. What is my role in my case? You play a very important and central role in your case. Joe Dunn views his clients as partners when it comes to representation. He will be relying on you for information, understanding and prompt communication to keep your case moving ahead. Question 4. I can’t leave my job to meet with attorneys. Can you arrange other appointments other than your office hours? We understand that employment is very important and that at times Joe’s schedules need to be flexible. If you have a situation where you are unable to meet during regular business hours we will work with you to find convenient times for all parties. Question 5. Who will handle my case? We work diligently to provide you with the highest quality of legals services in a prompt, personal, and cost effective manner. We accomplish this by utilizing our team of attorneys, paralegals and secretaries. 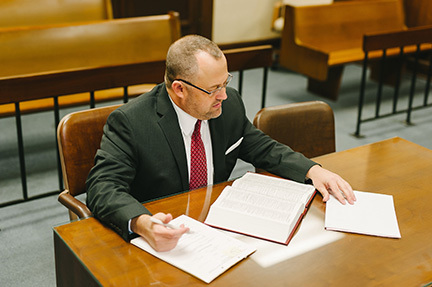 Joe Dunn will have responsibility for your legal matter, but by working as a team we can utilize each person’s individual expertise to protect your rights.